How are rural Minnesotans experiencing their communities? What are their priorities? How are they weathering storms? We conduct the Rural Pulse periodically to find out. 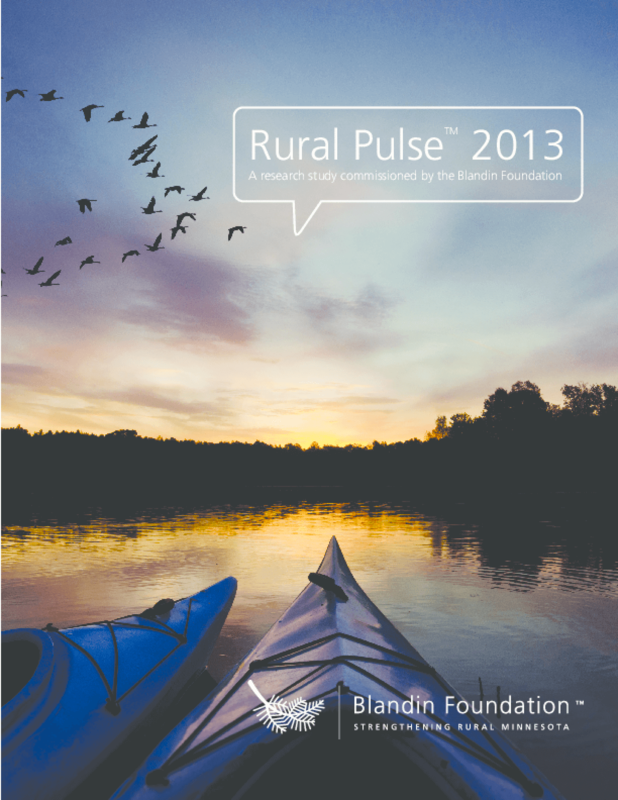 The 2013 Rural Pulse is the largest and deepest poll we have ever undertaken. For the first time, we also tapped the opinions of urban residents and looked deeper for racial and cultural perspectives. The bottom line? Minnesotans across the board remain very optimistic about their futures. We also share a belief that rural communities offer tremendous quality of life and that Minnesota is stronger when rural voices are heard and differences are appreciated. Threatening optimism, however, are very real concerns -- still -- about the economy. Minnesota communities are not unlike the ecosystem of the state itself -- a network of mutual interdependence in which even the smallest towns play their own vital role. Cities, suburbs and exurbs are linked to the communities, villages and townships of rural Minnesota in complex and profound ways. Blandin Foundation stands with rural community leaders as they design and claim ambitious, hopeful futures that benefit all residents. Rural Pulse 2013 helps us to see where Minnesota still has some work to do.